In an effort to keep eating healthy, I’ve turned to designer snacks. Salt and Pepper Cashews? Salsa Almonds? Sign me up! Nuts are full of good fats and are great to snack on during the day, but these designer versions of them are RIDICULOUSLY expensive at our local grocery store. $4 for a small bag of almonds? Are you out of your gourd? I found Salsa Almonds that I was truly obsessed with, and actually portioned them out so I wouldn’t eat the whole bag in one sitting. I was bummed when I finished them, and since the cost was preventing me from buying more so quickly after, I decided to try my hand at making some of my own! 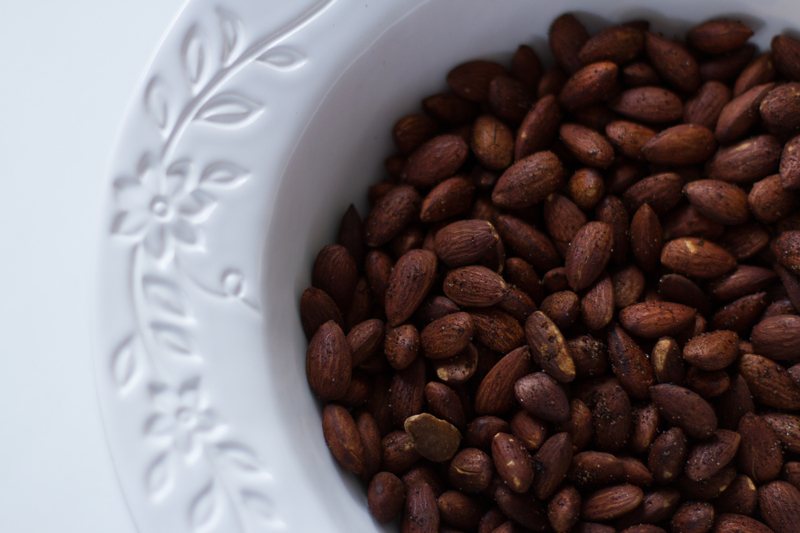 It was SO easy, and for $7, I was able to make a pound of Spicy Almonds! 1. Preheat your oven to around 375 degrees. Use a baking sheet with edges (it will help contain the nuts), and spray it with your oil of choice (I used Coconut Oil). 2. I used a pound of almonds, but whatever size you use, make sure that they are not roasted or salted! I sprayed them with coconut oil as well and then added cayenne pepper, salt, pepper, paprika, red pepper flakes, garlic powder, and cumin to taste! 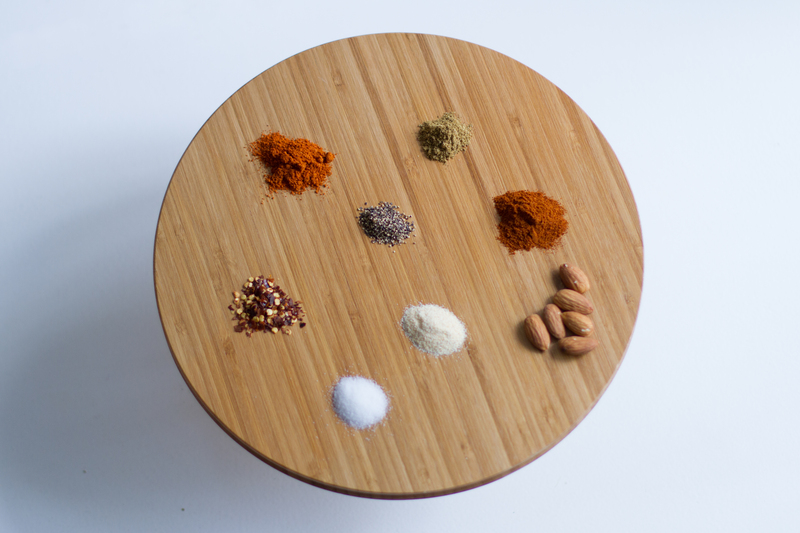 Mix it all up and taste a few times to make sure it’s got the heat that you want! 3. Spread in one layer in the pan and roast for around 15 minutes. Keep an eye on them! They will burn if you forget about them. Once they are done, take them out of the pan to cool, and enjoy!